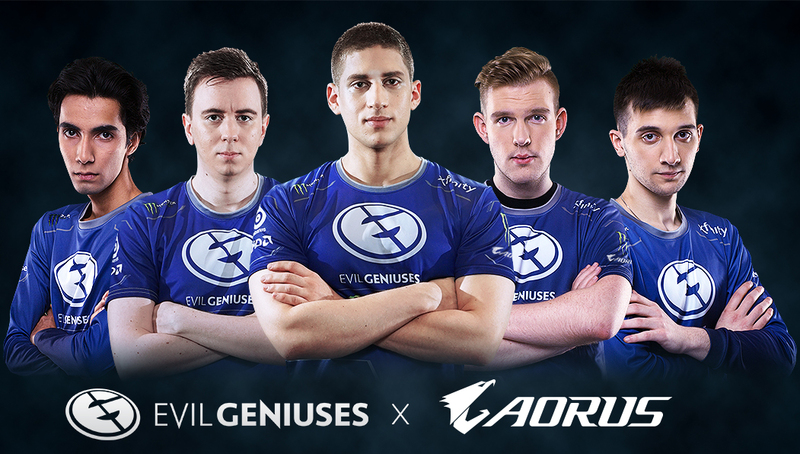 AORUS, a premium gaming brand by GIGABYTE, today announced a new strategic partnership with Evil Geniuses. With the deal in place, AORUS will be the team’s official PC hardware partner, supplying the Xfinity Training Facilities with high-performance laptop and desktop systems with top-of-the-line components, including the latest AORUS gaming motherboards and graphics cards. Evil Geniuses has been active in esports since 1999, housing many championship-winning players and providing them with the tools to succeed. AORUS is honored to become the team’s official PC supplier that helps the organization continue their dominance in many years to come. AORUS, a premium gaming brand powered by GIGABYTE, delivers a full spectrum of gaming products ranging from gaming laptops, motherboards, graphics cards, mechanical gaming keyboards, to many other gaming hardware and gears, offering the most extreme gaming experiences for enthusiasts worldwide. An active member of the gaming community, AORUS is a proud sponsor of prominent esports teams, and participates in major gaming events around the globe.